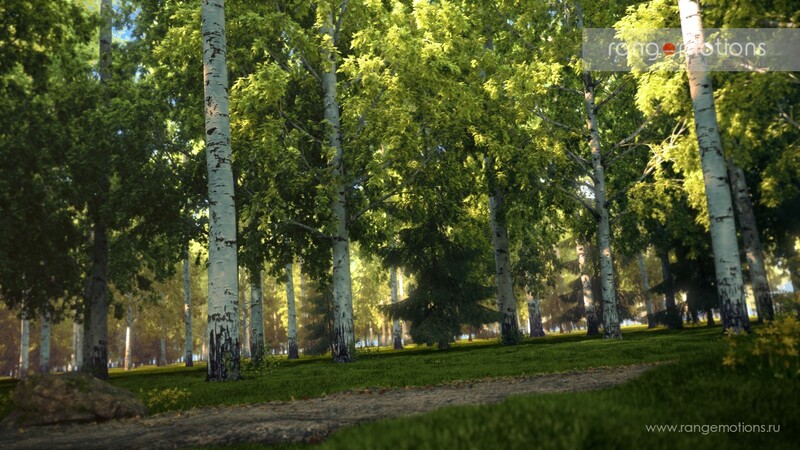 GrowFX is a plugin for Autodesk® 3ds Max®, allowing you to generate any plants and trees, as well as animate them. GrowFX compatible with 3ds Max 9, 2008, 2009, 2010, 2011, 2012, 2013, 2014, 2015, 2016, 2017, 2018, 2019, 2020 (32/64-bits) and 3ds Max Design 2009, 2010, 2011, 2012, 2013, 2014, 2015 (32/64-bits). 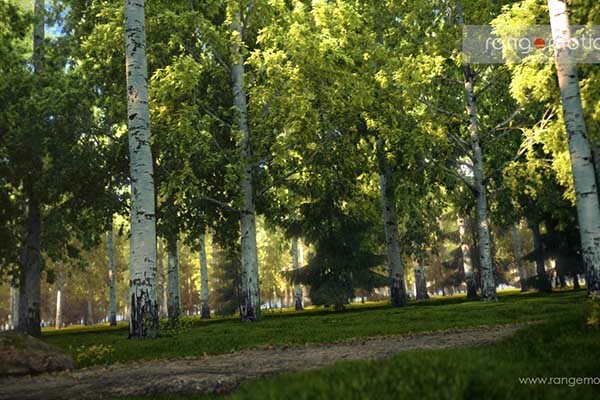 GrowFX allows you to create extremely realistic trees thanks to a special technology named "Meta mesh". With Meta mesh, it is possible to combine a trunk and branches into a single surface with smooth transitions at the points of contact. Meta mesh can also create tree trunks of any shape. The direction modifier named "Object reaction" allows you to create a variety of climbing and trailing plants by using path reaction (reflection / magnetic) to other objects of a scene. Moreover, reactions can help you create plants growing around different obstacles or plants in closed places. The direction modifier named "Object slice" allows you to create sheared plants of any shape. In doing so, you can make use of standard shapes from helper objects of the Exlevel category, including plane, box, sphere, as well as a shape of any other geometric object of a scene. GrowFX allows users to specify any shape for stems and branches. This can be achieved thanks to splines, using the Spline direction modifier. In doing so, you can use interpolation between different splines, creating smooth transitions from one shape to another. You can animate almost all parameters and create any plant animation: growth, wind, etc. It's also possible to use the Affects mechanism to get specific parameters to influence others, so that you do not have to configure animation by hand. 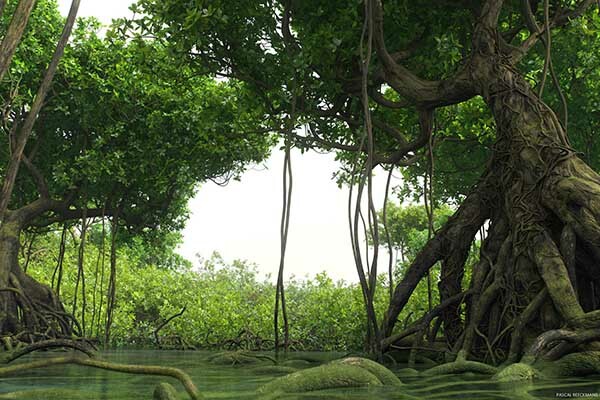 For example, you can set up a dependency of the length of main branches from the overall height of a tree, and dependency of small flowers from the length of main branches. 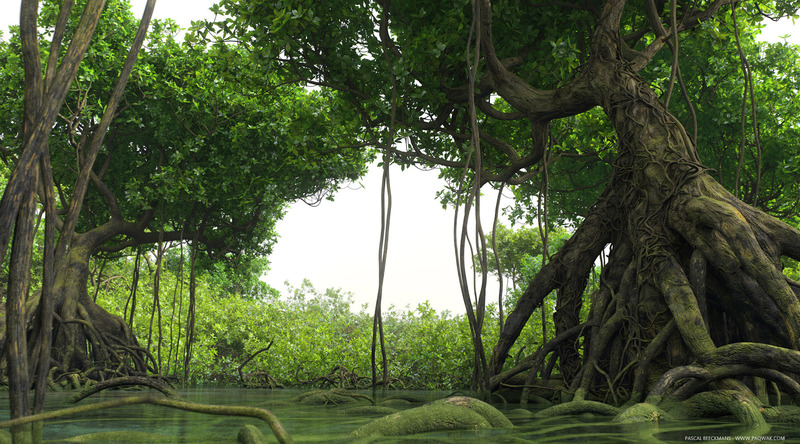 Then it'll be enough to animate a tree height to create a fully-fledged animation of a growing plant. GrowFX offers a mesh builder named "Instanced geometry". It allows using any geometric objects and even entire object hierarchies made by the user to create leaves, flowers, fruit and many other objects that may be required for a plant. Besides, you can use animation of these objects to show stages of their growth, distributing them over the main plant. For example, you can create a plant with blooming flowers in the lower part and buds on top. 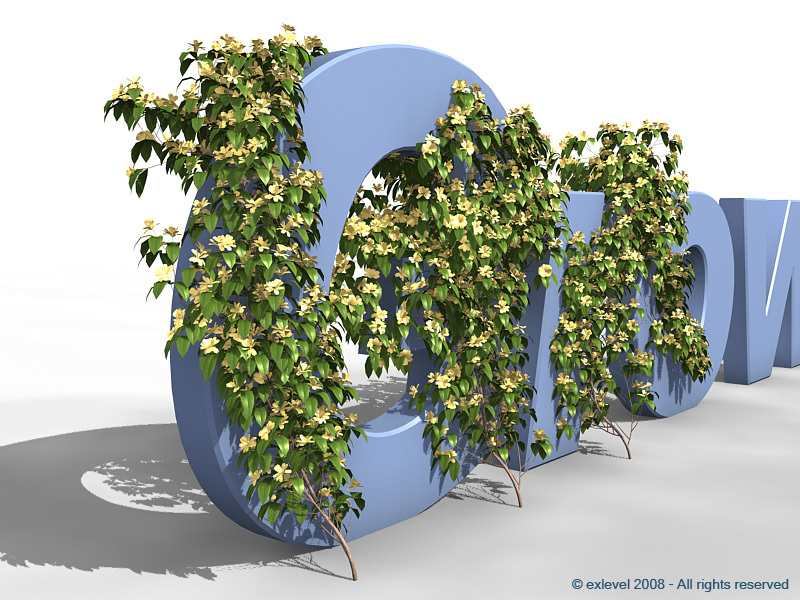 A GrowFX object can inherit all materials from the used objects. Objects can deform along path directions which can be used to create custom leaves. By creating only one geometric shape of a leaf, you can make it sway in the wind or make leaves look unique thanks to chaotic directions. 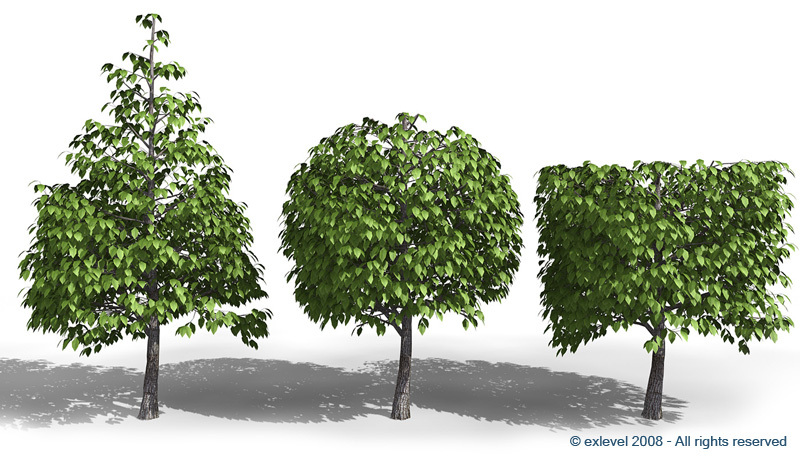 As a rule, most plants in 3D have many polygons and vertices. 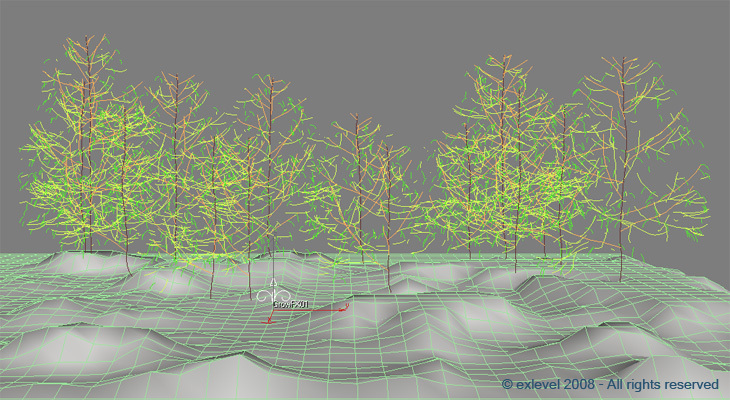 It makes it hardly possible to display many plants in viewport. In GrowFX this issue is solved. There is a special display mode named "Lines" which displays models in viewport as simple lines. Moreover, for paths that generate many lines (for example, leaves or small branches), you can set up the amount to be displayed in viewport by setting the lowest value of Percentage of paths.